If you do not know much about Avignon, then at least certainly you have heard the famous children's song about the bridge in the city. Besides that, however, this French city has unique sites and architectural masterpieces, preserved for many centuries. 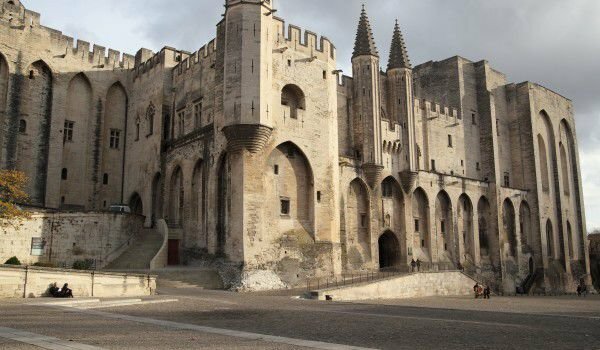 Perhaps the greatest attraction in the town is the Holy Palace, Palais des Papes, which was the emblem of the most progressive period in the history of Avignon. Since 1995 it is listed as a UNESCO world heritage. The town is located in the southeastern part of France, which occupies the picturesque Provence region. This exclusive nature of the South of France is perpetuated in many of the works of Van Gogh, Cezanne and Picasso. Called, City of the strong wind, Avignon was built somewhere around the sixth century on the left bank of the river Rhone. Undoubtedly the greatest prosperity was the settlement that took place between 1309 and 1377, the seat of the Catholic popes. Palais des Papes in Avignon is one of the largest Gothic buildings in France, one of the largest and most important among the new Gothic buildings across Europe. The period, the seat of the popes was marked by the so-called, Western Schism, when a dispute arose between the French and Italian cardinals. There are even interesting frescoes from the 14th century painted by artists from all over Europe. At the time of Pope Clement VI, Innocent VI and Urban V, the palace building was expanded to the dimensions of what is today known as the Palais Neuf. Pope Clement VI ordered a local architect to build a new tower and adjacent buildings around it, including a 52 m long Grand Chapel, which serves as a central location for the papal pilgrimage. Today the papal Palais des Papes in Avignon is a major tourist attraction and place for many cultural events such as music, dance, theater and film festivals and is even host to the International Theatre Festival. You can watch all kinds of performances not only in this palace, but in one of the many churches and monasteries of Avignon.